I think I can! I think I can! I think I can! 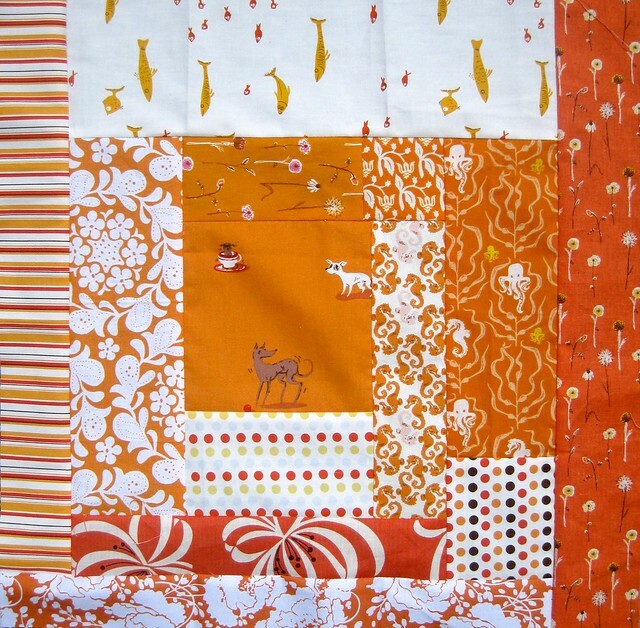 Three blocks down in the My Precious QAL!!!! My goal was to do 20, but I discovered after sorting my Heather Ross stash that I really only have enough color variation for 16. That's ok, 16 is plenty for a quilt! I was happy to be able to use a tiny bit of KJR ribbon flowers in this one! I only had a tiny piece left from my KJR quilt scraps so it's fun to put it to use! I have to be honest, this one was hard for me. I may have hesitated for a while about using the Jungle Book fabric. It's my only piece! That's also almost all of my Tula Pink Flutterby green lady bugs! *sigh* It's tough trying to set a good example sometimes when all I want to do is put my fabric safely back into its bin......whole, perfect, mine. All mine. Anyone else having trouble? :) Have you guys checked out the Flickr group? Lots of great goodies are getting ready to be sliced! Sarah is already off to a great start! Did you know there are more than 100 people joining in now?!?!? I'm totally blown away!!! You guys are awesome and so brave to cut into your precious stash! Those blocks look amazing! I seriously love them. I am beginning to think you are just evil! Loving the scrappy rainbow feel! Oh I love how these are looking so far! 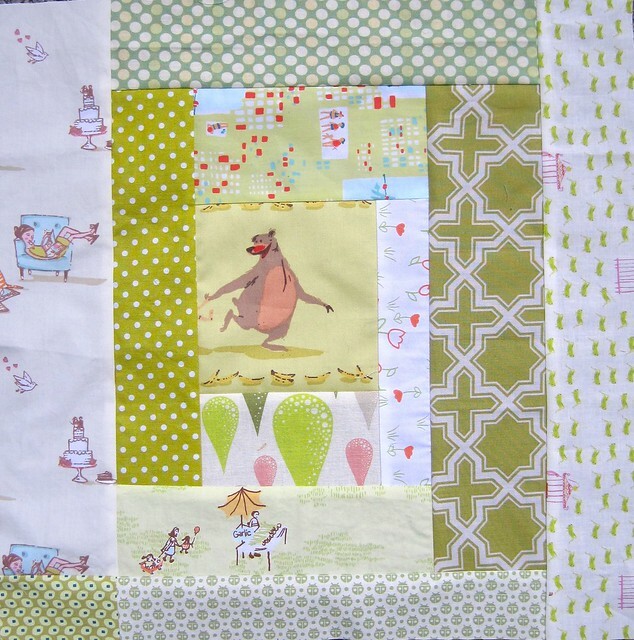 I do hope you are planning to keep this quilt - so many cute details in it! Your blocks are just sooo yummy Kelly!! Thanks for linking! These are beautiful so far! I can see why the Jungle book piece was hard to use, but it looks so nice in that block! I haven't started anything, and probably won't until next month. super cute blocks kelly! i love that little jungle book block so much i can see why you were hesitant to cut it but it looks perfect!! !